With the Ingonish Beach Coffee Table, you will be able to sit back and relax in hours with everything you need close by. 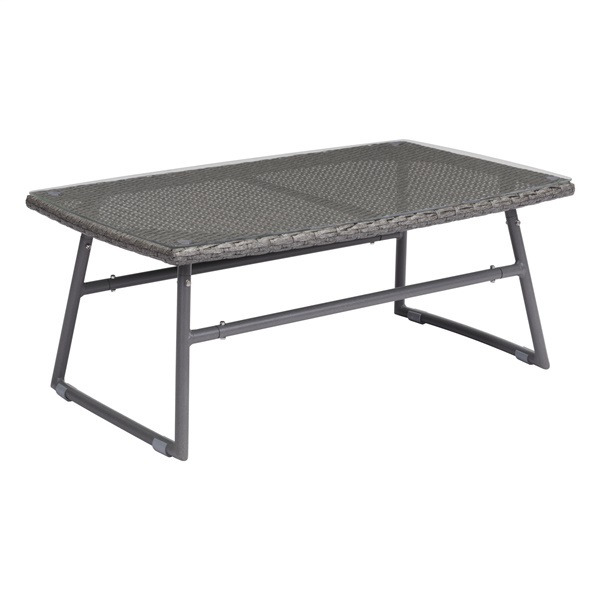 Constructed using a sturdy aluminum frame and a tempered glass top, this table offers all the support you will need for all day lounge sessions. The soft grey color is perfect for any beach setting and the simple design stays in touch with the theme, so you can put the Ingonish Beach Coffee Table anywhere without it being an eye sore.